The so-called Panama Papers generated 24,000 articles in two weeks and could be the fastest spreading global story since the Snowden leak, according to analysis of coverage of the leak. Market intelligence firm Signal Media analysed 22,000 news outlets and 5,000 blogs worldwide, following the leak of more than 11 million confidential documents from the Panamanian law firm Mossack Fonseca, and reporting of these by the International Consortium of Investigative Journalists (ICIJ) and affiliate media outlets. At least seven serving and multiple former world leaders were among those who had their tax arrangements made public – with the Prime Minster of Iceland stepping down over the affair, and UK Prime Minister David Cameron coming under scrutiny over mentions of his late father in the leak. On 1 April, shortly before the story began to dominate the news agenda, just eight articles referenced the publication of the Panama Papers, including IT security title SC Magazine, a sister title of PRWeek, according to the research. 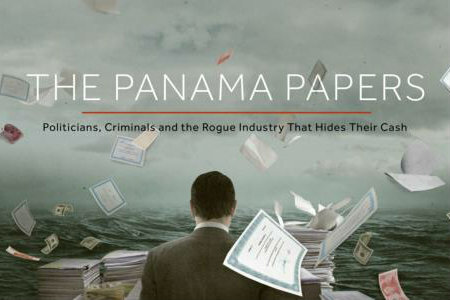 But after the significance of the material leaked to the ICIJ became apparent, the media generated more than 4,100 articles about the Panama Papers by 6 April and nearly 24,400 articles by 14 April. The research also shows a marked difference in the quantity of coverage given to the Panama Papers in the UK compared with the US – UK media produced more than 4,350 articles during the first two weeks of April while the in the US, only 550 articles mentioned the topic. Signal used analytics to reveal key stakeholders mentioned in specific contexts and discovered that Cameron was the focus of the most media attention during the two-week period, with 4,865 mentions. Vladimir Putin, the Russian president, received more than 3,500 mentions after he was linked to concert cellist Sergei Roldugin, who owns a number of offshore companies. Nawaz Sharif, the Pakistani PM, was mentioned in articles nearly 1,600 times and local media were reporting at the weekend that the leaks could topple his government in the country. The UK Labour Party leader Jeremy Corbyn received 1,167 mentions after calling on the Government to take action on offshore investments, while the Chinese premier Xi Jinping received 1,120 mentions, after it was discovered that his brother-in-law had used an offshore company. The Centre for Public Integrity, a US-based non-profit that investigates accountability and ethics issues, was quoted 2,938 times in articles. Panama was the most mentioned location in the coverage, followed by the UK, with 6,800 mentions, Iceland, with 5,800 mentions and the US, in eighth place, with nearly 3,000 mentions. David Benigson, chief executive of Signal, likened the story to Edward Snowden’s 2013 leak of classified National Security Agency material, which revealed the details of global surveillance programmes. He said: "The Panama Papers is probably the first time we’ve witnessed a story spread at such a pace across the globe since the Snowden leak. But the difference between the two is multiple people and organisations were at the centre of the story, and speculation spread at a pace across Twitter, causing a PR crisis for many." The ICIJ told PRWeek as the story unfolded that it had benefited from increased interest in the craft of investigative journalism in the wake of Oscar-winning film Spotlight.